Long awaited Sony upcoming next-gen Console PS4 detailed processing specifications have been revealed, source say’s that PS4 will be using AMD A8-3850 APU and Readeon Graphics HD 7670 in combined chip performances. A blu-ray drive, DX11 capable graphics and a processor twice as fast as PS3, this console is fully packed with surprises. The A8-3850 is a quad-core chip clocked at 2.9GHz with an integrated APU graphics chip. The integrated processor APU chip will be used as a secondary boosting GPU with the HD 7670, dedicated GPU chip is DX11 capable clocked at 1Ghz and wil be using 1GB for VRAM which gives an appropriate room to render the shaders properly if the console is to to run DX11 games smoothly. Ironically the GPU 7670 which is a tweaked version of 6670 (who happened to be rumoured of being used in XBOX 720,) how ever both consoles will be using a DX11 latest chipsets making the competition neck to neck, the 6670 is benchmarked on cry engine 3 powered game with maxed out settings on 1080p resolution giving a result of smooth 30fps gameplay which means the tweaked version 7670 will be able to boost up the framrate by 5 – 10 additional frames, not to forget the helper APU which might give a noticeable performance. 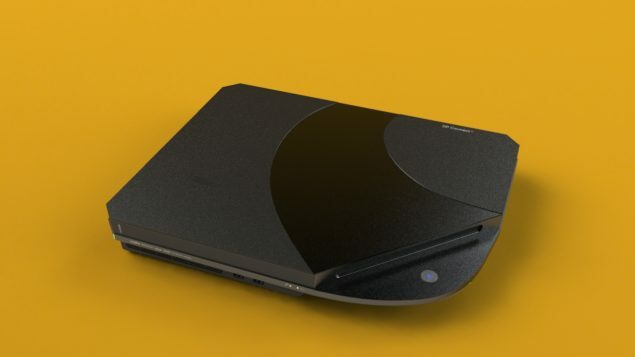 The APU is powerful enough to support an HD playback or a PSN arcade game, a asymmetrical cross-fire will surely make a difference, for my opinion Sony have enough time and they can do a little more better, from what i had expected after SONY developers claimed to defeat XBOX 720, the specification are not exactly a next-gen material. The specifications however are not officially confirmed so i hope to see some changes.